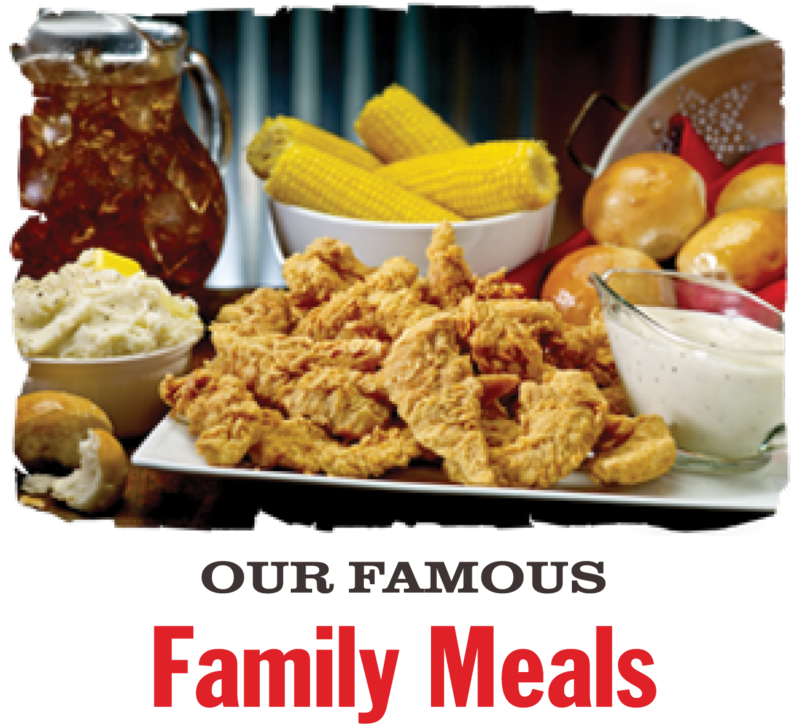 50 Tenders, 5 Family Sides, 12 Biscuits or Rolls, 2 Family Gravys (16 oz) and 2 Gallons of Tea. 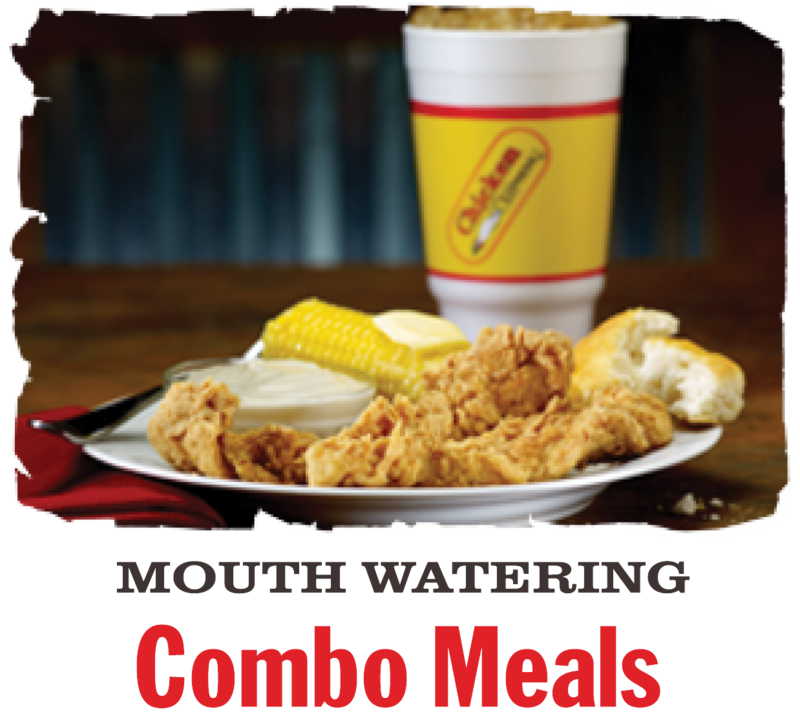 Served with one regular side order of your choice and a large drink. 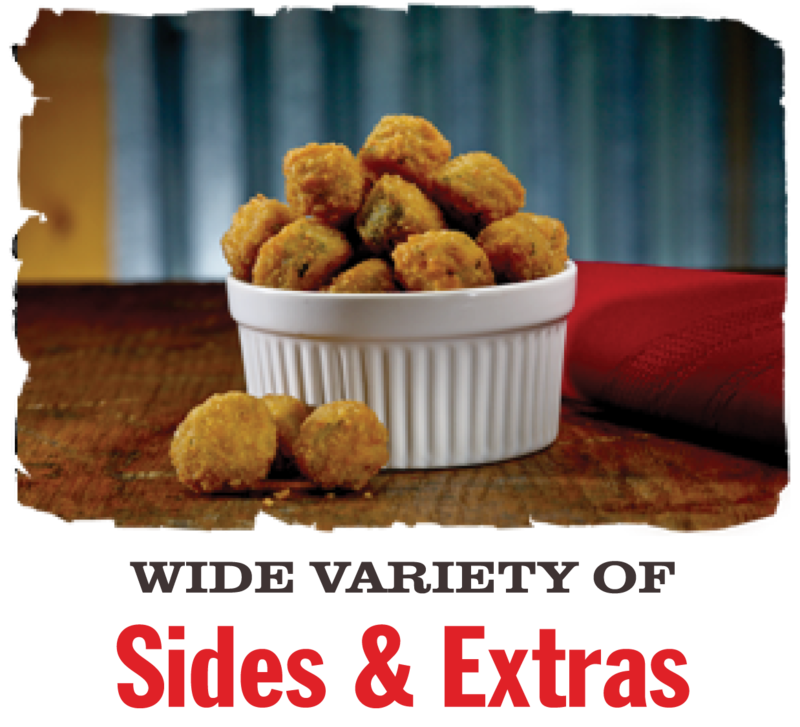 Served with your choice of two regular side orders. All served with biscuits or rolls. With a biscuit or roll. with your choice of 1 regular side and gravy. With your choice of one regular side. Includes 1 kid's side item and a small drink. 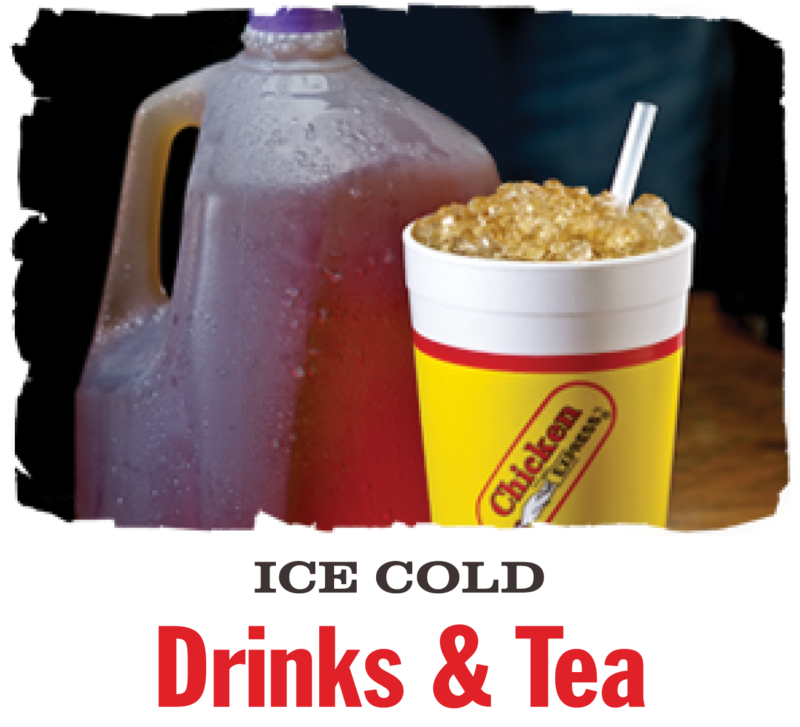 Served with 1 regular side, hushpuppies, and a large drink. 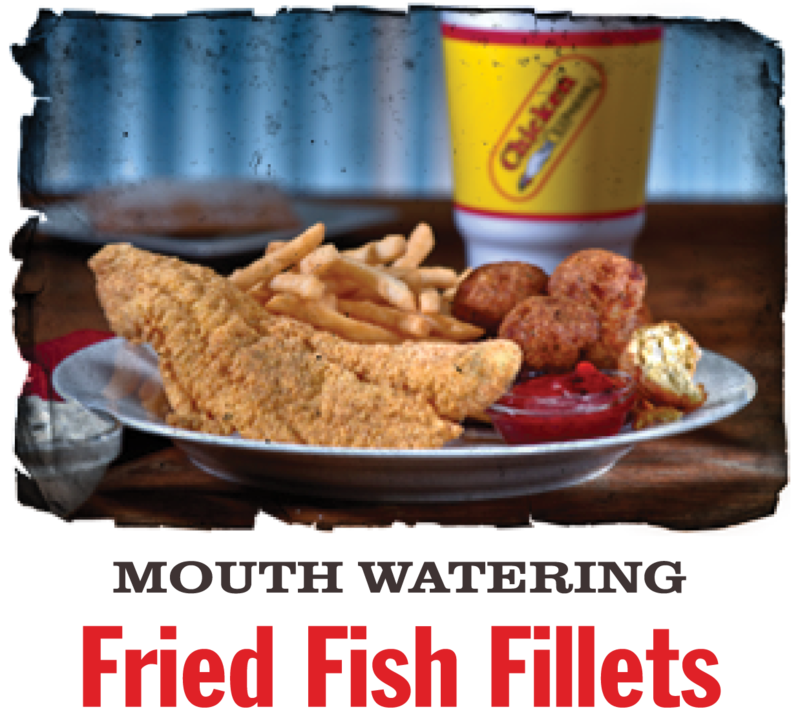 8 Fillets, 2 Family Sides and Hushpuppies.